5 different types of luxury homes you'll find in Charlotte, NC. In Charlotte, North Carolina, you can find your dream home; there are beautiful properties located by the river or nestled on the edges of the mountains. This city is the birthplace of home builders and you’ll also find architects that can help you design the luxury house you want to build or remodel, a house that meets all your expectations. 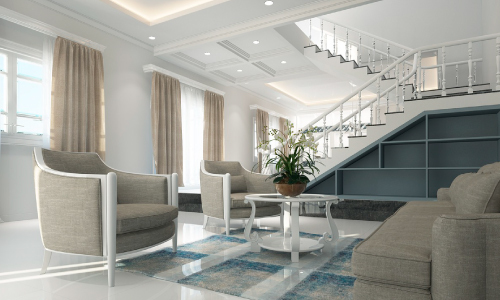 At Dream Home Builders and Remodelers we assist you with custom made houses in case you want to remodel without changing the house’s original style. Get to know 5 types of luxury homes you’ll find in Charlotte. Small luxury homes: in Charlotte, you’ll find one bedroom, one-bathroom houses with luxury designs that will take your breath away; it all goes in accordance with your needs. 7 bedrooms-6 bathrooms luxury homes: these and even bigger luxury mansions can be found in Charlotte, with beautiful architecture, surrounded by large areas of garden land and even artificial lakes in some of them, which many consider a dream home. Traditional luxury home: in Charlotte, NC, there are big and small luxury houses with a traditional design for those who like this type of style. Their interior design is magnificent and the gardens are spectacular. Modern luxury home: you’ll also find luxury properties with a contemporary and modern concept without losing the sumptuousness that characterizes a luxury home in Charlotte, North Carolina. There are several beautiful houses to choose from but also you can build your own one on the many acres on land you have at your disposition; a new place to build some amazing memories. We will help you build your dream home in the most convenient way while giving you total comfort and luxury. Would you like to move to Charlotte, NC? Are you looking for a luxury home for your family? We have good news for you! Charlotte the most populous city in North Carolina has a wide variety of luxury houses with large tracts of land. Get in touch with us! We, at Dream Home Builders and Remodelers, we will advise you on what you need, whether it is remodeling or the building of a new dream home.